Saw a Gen 3 sedan heading south on the 400 then branched off to West 401 this past Saturday at around noon. Who was the black Gen 1 Sedan with TM3 plates trying to get out onto Doris? 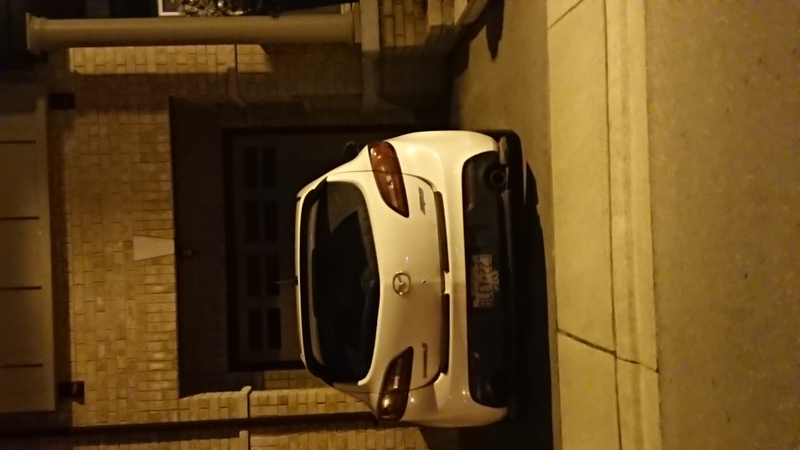 Saw a White gen 2 hatchback Tuesday and Wednesday at the international centre on airport rd. Big Tm3 sticker on the bottom left, rear window. And painted the door panel Black? Isn't only the base model cars have the black plastic door panel, higher trim always got color matching door panel and the guy is making it backward. The white potion of the hood doesn't even match the CWP color of the body. White Mazda 3 Gen 3 Sedan. Highway 7 and Just west of pine valley. I was behind you when you made a u-turn lol. Sittin pretty on white rims and tm3 plate. 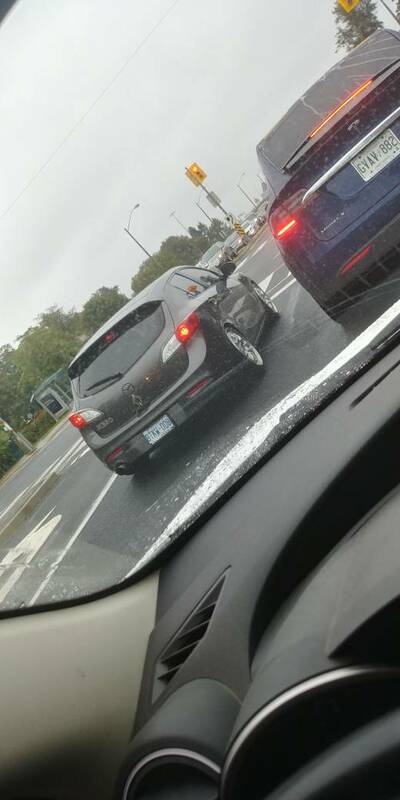 Spotted along Victoria Park heading north towards 401.. Not sure if a member.. Spotted again at Major Mackenzie and Cityview. Making a left onto Major mack. I was the red mazda across with the halos. Spotted a Red 1st gen with RX8 wheels in black with red lugs also has TM3 plates parked on church street. Snapped this while on delivery in the east side of guelph. Who’s this? I live a few blocks away. Today at 2:10, white gen 2 sedan on 410 north, you got off at Clark blvd. lowered, red tail lights, exhaust and some black vinyl decals across the car. TM3 plate on the rear, nice car! 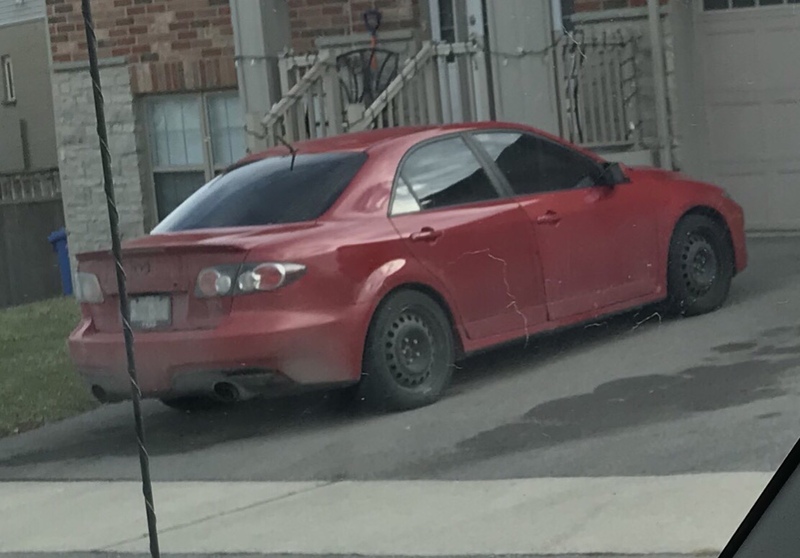 Anyone on here from around Orangeville area, was at the Broadway McDonalds and spotted a black M3 with the Toronto Mazda 3 decal on the window. new to this forum, and looking to get to know some Mazda people. On Wednesday morning southbound on the 400 closing in to the 401 merge. Red Gen3 Sedan with a custom third break lights on the rear valance and rally armour flaps. I honked at you as i passed by on the ramp to the 401. Sweeet looking car! That would be me. I tried to honk back but realized it was too late. I was looking for you on the Facebook group.. and I cant log into my original account on this but whatever. Black hatch in front of Los Chicos right now ... Nice  I'm the fellow standing there staring at you as I smoke ..
WRB STI with TM3 plates on kingston going west at around 8am today. I forgot your handle name already I was in the LBP STI. Who you be? I think I see you on Lakeshore a couple of times too. 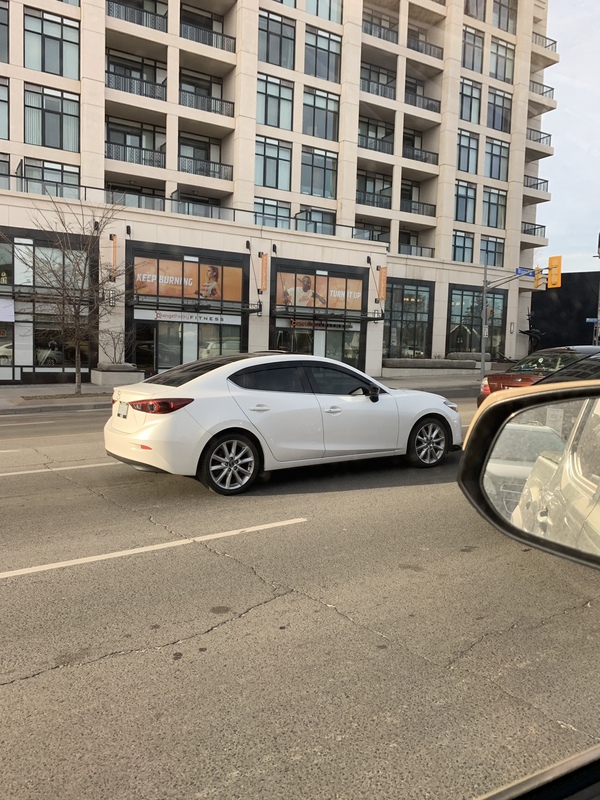 Anywho, Spotted yesterday going east on Bloor by South Kingsway.